It is no longer news that PUTIEN has now a Michelin Star to its name and expectations of the restaurant might have risen. With its emphasis on simple traditional food, authentic flavours that often leave many in nostalgia, we would expect the mooncakes offered during Mid-Autumn Festival to offer the same profile. How much more traditional can it be when you have mooncakes that follow the recipe of a home baker who makes it a tradition to bake them every Mid-Autumn Festival? Named after Madam Leng Ah Eng, the longest serving stalwart in PUTIEN who makes mooncakes for her colleagues and regular patrons during Mid-Autumn Festival every year, Madam Leng Handmade Mooncakes (蓮姐酥皮月餅) are now available at PUTIEN. Although it is impossible for her to handmade every mooncake sold at the restaurant, you can be certain she does daily tasting to ensure that the mooncakes are made to her original standards. 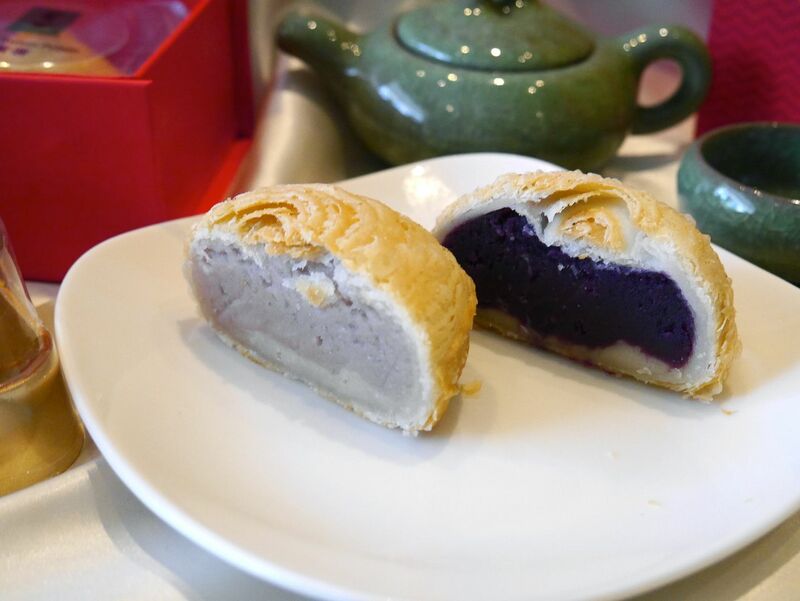 There are two flavours for Madam Leng Handmade Mooncakes (蓮姐酥皮月餅）—Yam ($48/box of 4; $12/pc) and Purple Sweet Potato ($52/box of 4; $13/pc). Having fewer options is wise when both are delicious. “食材有來頭，一咬就露餡”. Just look at the golden crispy layers and generous serving of yam and purple sweet potato! Every bite is a mouthful of happiness. Made from Thailand’s premium taro and Japan’s first grade purple sweet potato, you can be assured that the flavours of the tubers deliver. No flour is added to the filling to ensure the richness of the flavours. I love the mooncakes as the level of sweetness—just enough to highlight the flavours— is spot on. Give me a pot of tea and I can finish a mooncake. Also available are Yam with s/ Yolk ($54/box of 4; $13.50/pc) and Purple Sweet Potato with s/ Yolk ($58/box of 4; $14.50/pc) if having salted egg yolk mooncakes is a must. 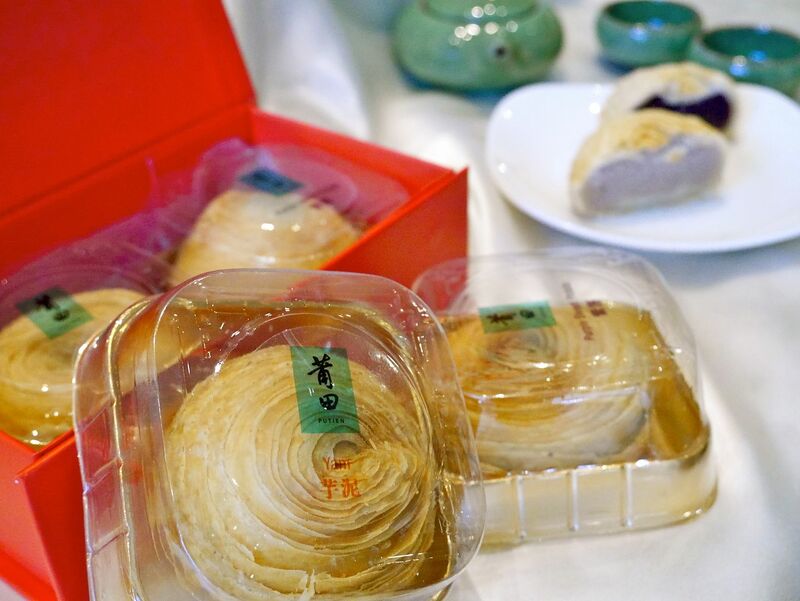 Do note that no additives or preservatives are added, thus, the mooncakes are made daily and sold on the same day. They can be kept for three days to ensure freshness, although you can be sure they will not be sitting on your table for long. A taste of tradition is indeed gratifying.